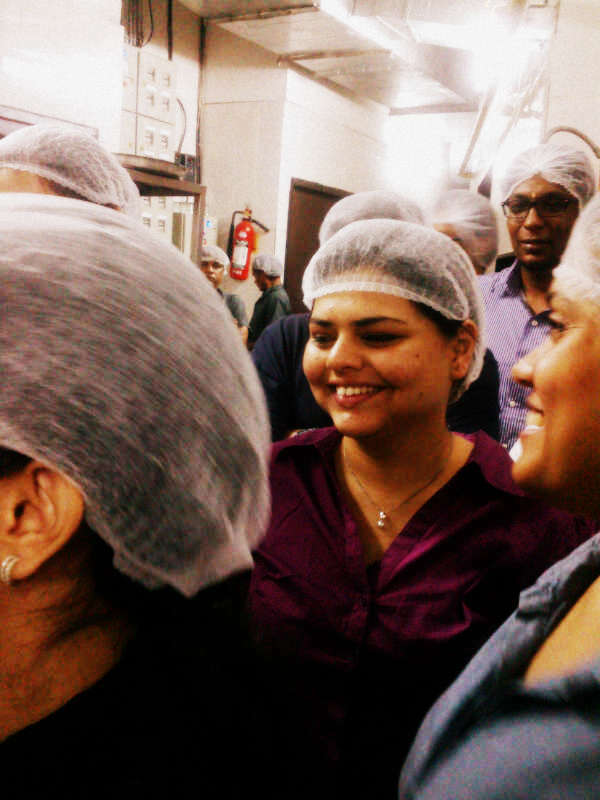 Khandaani Rajdhani is all about hospitality. The kind of hospitality that is very close to a thin line which when crossed gets down right annoying. 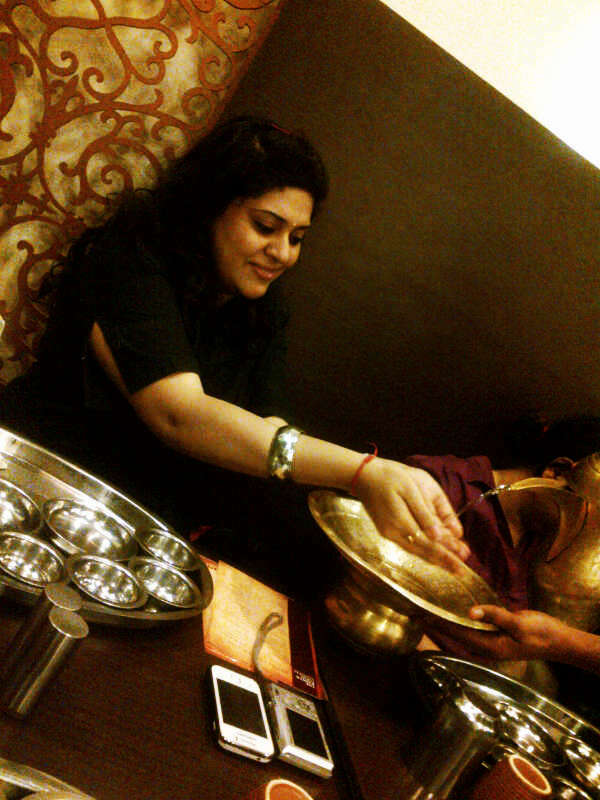 The Rajasthani hospitality is all about getting their guest so stuffed with food that they would be unable to move. But the folks here at Rajdhani managed to play their part well, where we felt welcome and at home the whole time. They even have a special sign language just to communicate amongst each other without being a hindrance to the customers. We got to see their kitchen, which is primarily headed by their Four Maharajas, who they refer to as their Four Pillars, and they keep shuttling between cities just trying to personally look over these outlets. 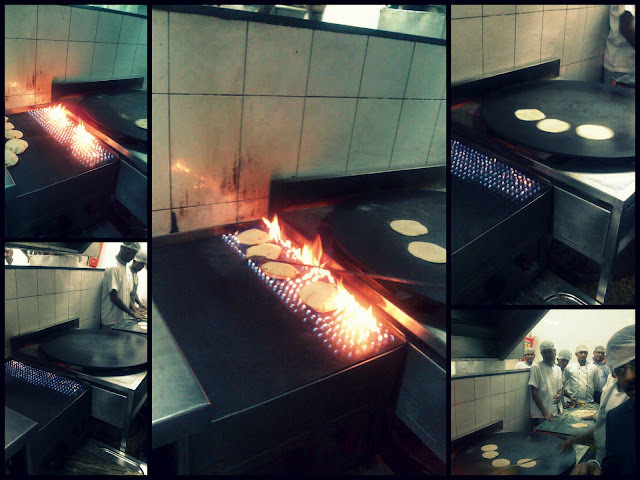 They have the coolest Roti maker on the planet. Have a look! 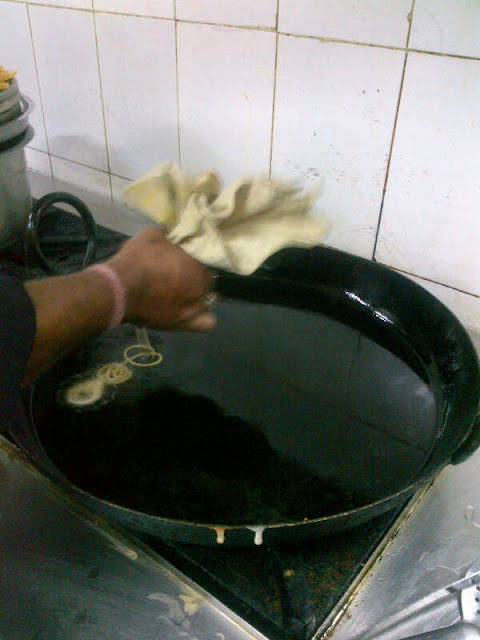 And of course we got to witness some live Jalebi action! After all the sightseeing, it was time for serious business! 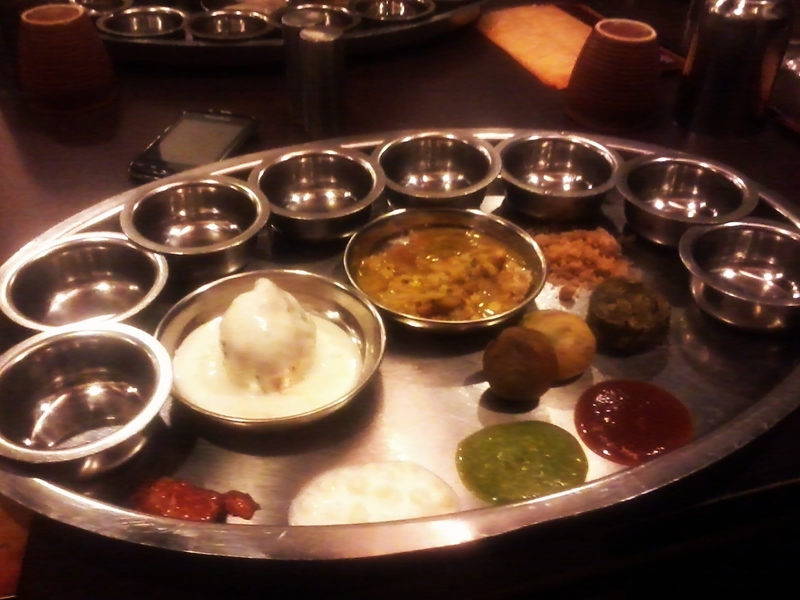 The Thali. I just had to take this beast down. We began with getting our hands washed for the feast that lay ahead of us. Then arrived a humongous plate. The food overall was pretty good, but my least favorite items were the Puran Poli and the Dahi Vada. Gatte ki sabzi was a bit too tough for my liking and the Dal Baati was good, but not the kind that would bring back childhood memories. Everything else was yummy! Then arrived the highlight of the afternoon, the desserts, and as you can note there are no pics of the dessert, forgive me my dear readers, I was too busy indulging in crispy hot Jalebis and Malpuas with Rabdi, Chikoo Halwa, and Phirni. The Rajwar Festival offers unlimited desserts and what more could I ask for! We washed everything down with a refreshing Chaas and Finished our meal with one of their kind Paan Shots! I took the beast down! With great courage and energy we managed to get our butts off the seats and take the much needed long walk to the parking section to feel a little normal! I could think of no better way to go on a Binge eating spree! 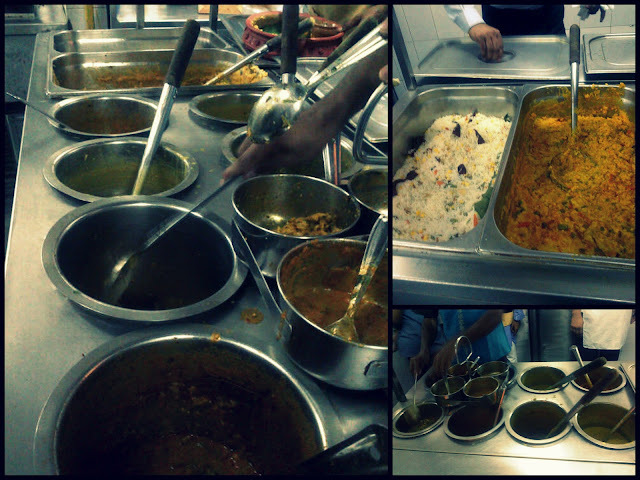 Keep it up, Rajdhani!! Nice read. When if the Rajwar Festival held? As in, are there specific dates or is it an ongoing thing?